Like you, the 2018 Tiguan is so many things. An energetic go-getter with power to spare. A tech head, wired with all the latest gear. A sophisticated style maverick. And super flexible, making it easy to switch things up for a new adventure every time. The newest Tiguan has advanced in leaps and bounds. It’s longer, roomier, techier, more stylish, and more refined than ever. There’s only one thing that hasn’t changed: it’s still the most spirited, versatile, and downright lovable SUV in its class. [†]0% for up to 72 months, a limited time offer available on finance only of new and unregistered 2018 Tiguan models. [*]Limited time finance offer of $233.29 bi-weekly at 0% for 72 mos. available through VWCredit, on approved credit, and based on the 2018 Tiguan Trendline 2.0T 8-Sp automatic w/ Tiptronic(St#230150) and includes MSRP of $30,575, essentials package ($899), environmental levy($100), tire levy ($25), PPSA fee ($43), applicable taxes, freight and PDI ($1,995), admin fee($495) and doc fee($395), with $71.63 discount applied. License and insurance extra. Total obligation of $38,590.02 includes 156 payments of $233.29 plus due on delivery of $2,197.44. Due on delivery includes: down payment ($2,197.44). Dealer may sell or lease for less. Dealer order/trade may be necessary. [^]Up to $1,000 discount on MSRP available on finance and cash purchase of new and unregistered 2018 Tiguan (excluding 2.0T Trendline FWD) models. Discount varies by model. PPSA fee, license, insurance, registration, any dealer or other charges, options and applicable taxes are extra. Offers end November 1, 2018 and are subject to change or cancellation without notice. Vehicle shown for illustration purposes only and may include optional equipment. Visit vwvictoria.com or Volkswagen Victoria for details. 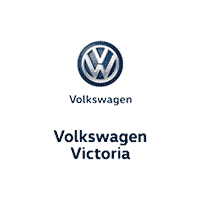 “Volkswagen”, the Volkswagen logo, “Volksfest”, “Tiguan”, “Jetta”, “Passat”, “Golf”, “TSI”, “Trendline”, “Comfortline”, “Highline” and “Execline” are registered trademarks of Volkswagen AG. © 2018 Volkswagen Canada.